Unlike in the west, in Japan tri. was shown in theaters. Image source. November 21st, 2015. 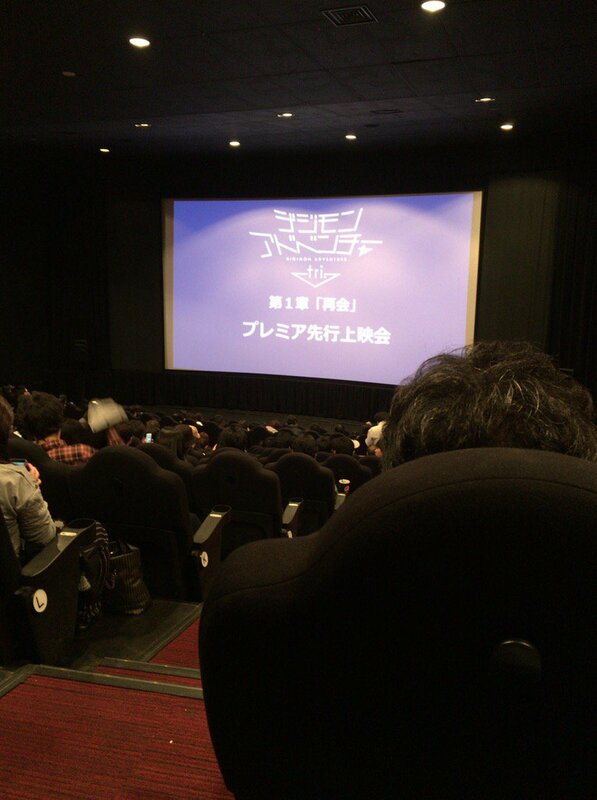 Following early rumors from Japanese filmgoers last night, a first image of the Adventure tri. Reunion post-credits scene captured in violation of theater regulations was leaked to the public, revealing the involvement of three Digimon in Adventure tri. 's second chapter Decision (決意 Ketsui), which were previously not known to be part of the film franchise. The teaser also gives a release date for Decision, March 12, 2016. A source for the leak has not been identified. 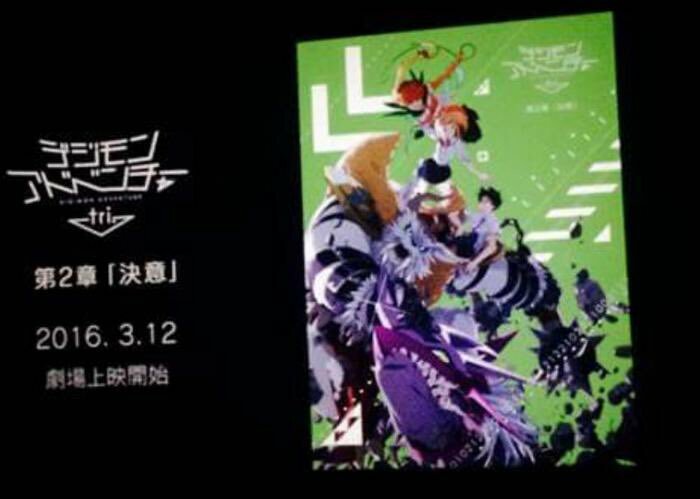 Scroll down to see the teaser image below, with the Digimon identified. This story was originally broken by Bokutachi no Digital World. The Digimon seen are Rosemon (with Tachikawa Mimi), Vikemon (with Kido Jo), and Imperialdramon. In the Digivice Ver. 15th released last year, Rosemon was the Ultimate evolution for Palmon, and Vikemon for Gomamon. can't unsee..! but also, it's about damn time! Rosemon and Vikemon are Mega evolutions, not Ultimate.